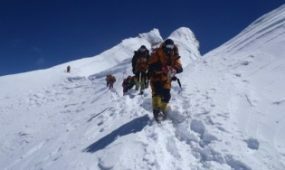 The Dhaulagiri expedition is a daring climbing expedition to ascend the 7th highest mountain of the world known as Dhaulagiri Mountain of 8167 meters. 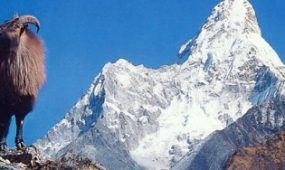 The Dhaulagiri Mountain is one of the classical and traditional mountain of Nepal renowned for its attractive presence as shining White Mountain growing over horizon. The Dhaulagiri Mountain occupies the territory of 120 km through the western face of Kali Gandaki River towards the Bheri River. The Dhaulagiri Mountain is bordered by three rivers and they are Myagdi River, Bheri River and Kali Gandaki River. The Dhaulagiri was first successfully climbed in year 1960 until then Dhaulagiri region was remote mountains residing far from urbanization. 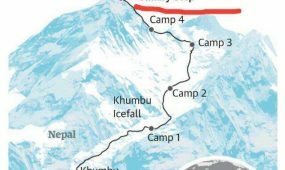 The Dhaulagiri expedition begins from Dhaulagiri base camp where the climbers take the northern face to ascent the Dhaulagiri Mountain. The climbers then setup the base camp at 4650 meters altitude and get acclimatized for further climbing. The next phase of further climbing follows the NE-Spur which ends at last High-camp residing close to the summit of mountain. After the last high-camp the climbers pass through arena of ice leading towards summit. The climbers then cross over French ridge and ascend the summit of Mount Dhaulagiri. The summit of Dhaulagiri Mountain has the wonderful views of encompassing region and surrounding mountain. The climbers then return to the base camp in the end of the climbing expedition.